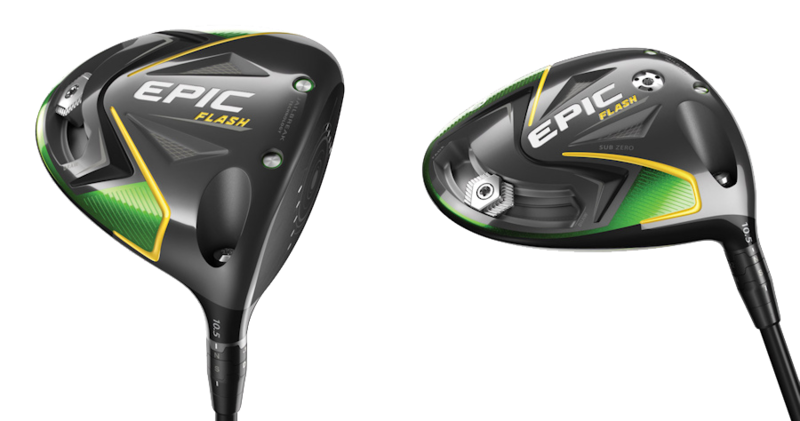 Callaway said that the Epic Flash would help increase golfers ball speeds and so far the numbers are in agreement! The Jailbreak technology debuted in this piece is said to be apart of what’s creating more distance in your ball flight with this product. With higher launch and an increase of ball speed in comparison to the original Epic and Rogue models, there is no reason why we aren’t putting these in the hands of our customers. Callaway’s Epic Flash was officially the first driver of 2019, debuting last month and making quite an entrance. The new Flash Face driver rocks a lime green and canary yellow design ensuring this driver head will stand out from the crowd. With the Epic, Callaway has successfully created the first golf equipment designed using Artificial Intelligence, and it has pioneered a new path of innovation for the industry. Through Machine Learning techniques, Callaway’s computers cycled through 15,000 face iterations, learning from each one, before arriving at what they are calling “Flash Face.” This driver had 15,000 virtual prototypes in comparison to a typical driver which only goes through 5-7 prototypes. Safe to say, Callaway’s new Flash Face technology is built to help golfers maximize ball speed resulting in increased distance. The club head has two internal Jailbreak bars that help stiffen and stabilize the crown and sole of the model, placing more impact load on the face to promote faster ball speed. The adjustable 16-gram weight helps golfers to more easily create draws, fades or a straighter ball flight. Together, this technology allows for golfers to witness first hand what it means to push the boundaries of any driver that has come before it. Designed with new and lighter carbon fabric called TC2, this provides a lighter weave which allows the weight to be redistributed within the head to raise Moment of Inertia (MOI) for exceptional forgiveness on off-center hits. The Epic Flash was the only driver awarded 20 out of 20 stars in the 2019 Golf Digest Hot List and this club doesn’t fall short of the title. There are two models of this innovative product from Callaway: The Epic Flash and the Epic Flash Sub Zero. Both are available now at all Cool Clubs locations! We have to admit that golf club manufacturers are putting a lot of muscle into promotional videos. It reminds us of our MTV days when remarkable video productions were used to promote artists and new album releases. We thought this Callaway video would be fun to include in our newsletter this month! The “epic” music in the video is pretty cool, too!